After many years of speculation, it’s now confirmed: on October 4th FOO FIGHTERS will make their debut appearance in Costa Rica for an unforgettable and historic concert in the National Stadium. Fan Club pre-sale is starts now and BAC Credomatic pre-sale from March 28th and General On-Sale on April 4th @ 10 AM through eticket.cr. Local web pages and social media groups have been specially created throughout the years to request the band’s visit to Central America and they will finally see their wishes granted. Foo Fighters have repeatedly reaffirmed their status as the last great American stadium/arena rock band for nearly 25 years. Their live shows are legendary rock n roll marathons that often surpass the three-hour mark, and continue to raise millions of voices in unison with the irresistible choruses of “Everlong,” “Monkeywrench,” “My Hero,” “Learn To Fly,” “All My Life,” “Times Like These,” “Best Of You,” “The Pretender,” “Walk,” “Rope,” “These Days” and more from their multi-million-selling nine-album catalogue. The band’s most recent album, “Concrete and Gold,” was released in the fall of 2016, instantly adding two more hit singles to the FF hit parade of crowd favorites, “Run” and “The Sky is a Neighborhood.” “Concrete and Gold” debuted at # 1 worldwide, including a the second #1 on the band’s native U.S. (the first being “Wasting Light” in 2011). 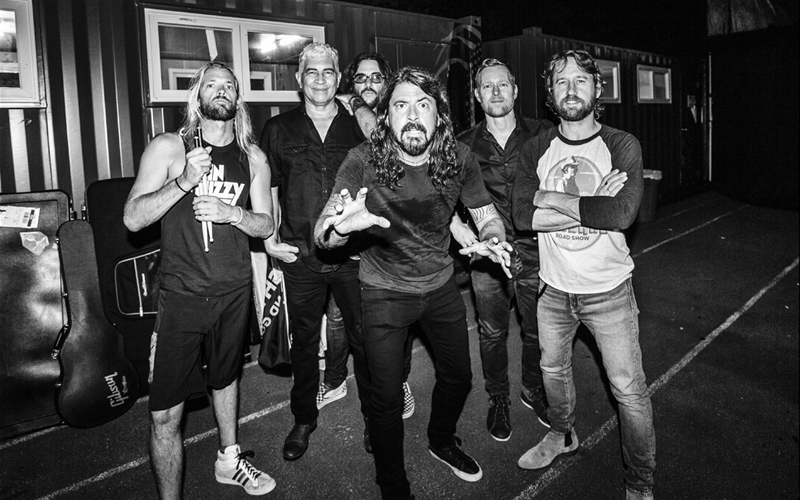 Foo Fighters are Dave Grohl, Taylor Hawkins, Nate Mendel, Pat Smear, Chris Shiflett and Rami Jaffee. The performance scheduled for October 4th at the Nacional Stadium in Costa Rica will also include special guests Weezer, an American alternative rock band formed in Los Angeles in 1992. Both have toured and shared the stage for many years. Weezer is currently formed by Rivers Cuomo (lead vocalist and lead guitar), Brian Bell (rhythm guitar, keyboards and choirs), Scott Shriner (electric bass and choirs) and Patrick Wilson (drums and choirs). They have ten studio albums, six EPs and a DVD. To date they have sold more than nine million records around the globe. Costa Rica will finally experience Dave Grohl, Nate Mendel, Pat Smear, Taylor Hawkins, Chris Shiflett and Rami Jaffee tread on the “tico” floor of Estadio Nacional this coming October 4th. This performance is brought to Costa Rica by MOVE Concerts, the largest independent promoter in Latin America.